Year 12 End of Semester Examinations conclude today after the relentless march of the assessment schedule over the last fortnight. Interim reports for other year levels have been distributed so parents and students are well placed to evaluate the level of progress that has been secured over the early weeks of the year. More than to provide feedback about performance thus far, these reports offer an opportunity for reflection and discernment about what lies ahead. Be that consolidation of existing study and work routines, modifications to attend to difficulties that have been encountered, or more intensive programs that need to be entered into. As the sunset of the term comes into view, it is important that the feedback provided through the reports is a point of considered review and planning for what the next assessment period will hold. 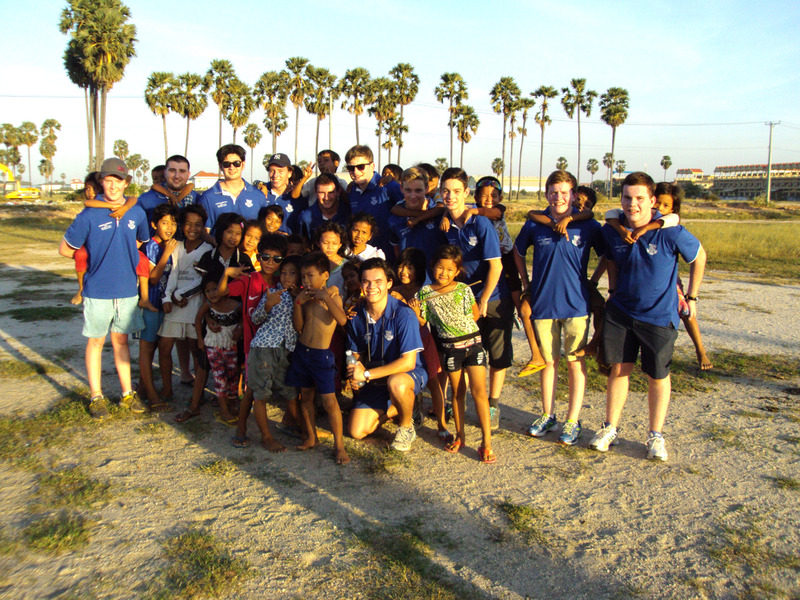 Earlier on in the term the reflection evenings for boys involved in the immersions over the summer profiled the extraordinary experiences the boys had in various countries including Cambodia, Nepal, India and the Philippines. 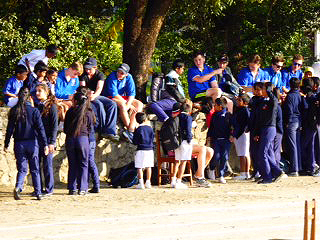 The perennial cycle is being enacted at the present time, with preparatory evenings for boys who will travel not only to these distant parts of the world, but also to Timor Leste and Borroloola in the Northern Territory later this year. 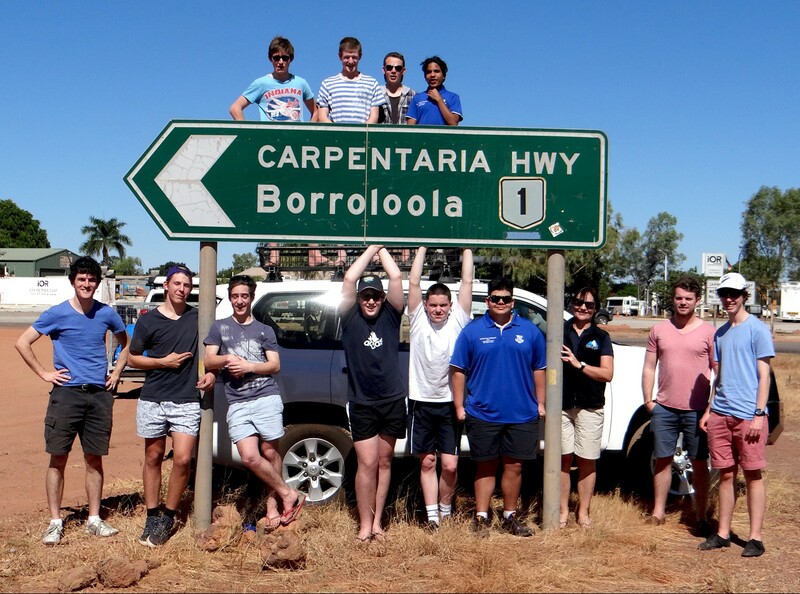 While the immersions are an opportunity to support many of the disadvantaged in third world countries, the immersion to Borroloola is equally significant as it is a chance for the boys to encounter the richness of Indigenous culture and the reciprocal growth that stems from it. Each and every boy who participates in the immersion program is to be commended for they take a step into the unknown and inevitably experience the deep personal reward through the civic and global citizenship that is associated with it. The theatre continues to feature large with the Year 8 plays entitled Fortress and Hamlet, Zombie Killer of Denmark. The former is a heart-warming story about growing up – falling in love, peer pressure, grappling with rejection and fighting for what you believe in. The latter is a parody of the Shakespearean classic that involves the best in swordfights, brain juice and universal truths about human nature. Our budding thespians acquitted themselves like true professionals, rising to the occasion of public performance with great conviction and stagecraft. While the boys need to be congratulated on the quality of their performance, so do the Directors – Ms Debra Williams and Ms Lara Rosenthal, on the way that they have worked with the boys to produce such a fine product. Another prism of the educational program was put to the test during the week with the boys involved in the Agricultural Science program. A veritable frenzy of activity unfolded at the Easter Show, with the bulls from the Agricultural Farm being paraded by the Senior boys, while across in the poultry section, the Year 9 boys went into competition with the eggs produced from the Riverview chickens. The excitement at the judging panels was palpable as the boys pitted their best not only against the other schools with Agricultural Science programs, but the best in the commercial industry. In this context the boys are not expected to take out trophies or ribbons but to glean the experience that comes from external competition and the skills associated with it. Well done young men on a fine performance at the top end of the agricultural spectrum and under such visibility of the show ring. As part of a program to strengthen the profession of teaching, Saint Ignatius’ College has formally entered into a partnership with The University of Sydney to assist students in the Masters of Teaching program. Last year 15 pre-service teachers spent their intensive teaching practicum block at Riverview learning the craft of the profession under the watchful eye of senior teachers and Heads of Faculty. On Monday, 26 new teachers arrived to take up the final part of their pre-service teacher training with a view to progressively fulfilling the requirements for registration by the Board of Studies and Educational Standards (BOSTES) later in the year. There are a number of complementary gains from this program: for the trainee teachers the benefits are manifold particularly in the area of classroom methodology and behaviour management, while for the College the presence of highly trained graduates in the Masters program provides insights into contemporary educational theory and practice on a recurrent basis. In addition to this program, the College will enter into teaching internships for the first time in 2016 under Memorandums of Understanding (MOUs) with selected universities in New South Wales. These will take the form of scholarships that are openly contested among some of the very best pre-service teachers. The scholarship recipients will undertake the entirety of their final year of teacher placement at Riverview working alongside Heads of Faculty and senior teachers in preparation for their employment in different schools and sectors in the years beyond. Many who have been at the College over the last fortnight would have seen a large number of new families who are part of the enrolment interviews for entry in 2017. Riverview is very fortunate to be a highly preferred school and the competition for places is high. Thus, a thorough process of interview is entered into in order to identify which families have the closest alignment with the values of the College and how they will strengthen the cause of Jesuit education at Riverview. We are in the final stages of preparation for Easter. The consummation of Lent is the Passion involving the death and resurrection of Jesus – that which will be celebrated in just a week from Sunday. A whole school liturgy will be held in the Ramsay Hall on Wednesday to highlight the importance of this event in the liturgical calendar and to give the boys a formal exposure to the depth of this Christian tradition. Fr Ross leading Riverview community members through the Collge as part of his Stations of the Cross Easter commensuration. Best wishes as we enter the final few days of what has been a busy but rewarding term.